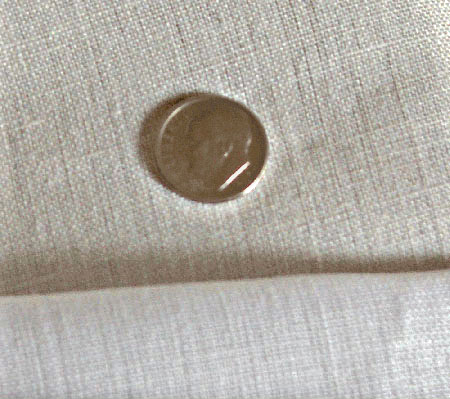 Linen thread of this weight is good for button holes, eyelets, top stitching, and hand sewing coarser linens and wool. Spools come in 12 1/2 gram (approx. 145 yd.). Linen thread like this is not died but bleached lightly to render it a wonderful golden brown or buff in color. Unbleached linen thread came in many shades depending on soil qualities, retting method, variety of flax grown and weather conditions. This thread may be used when sewing lighter shades of linen or wool in which unbleached would be too dark. This makes a nice basic all purpose sewing thread.